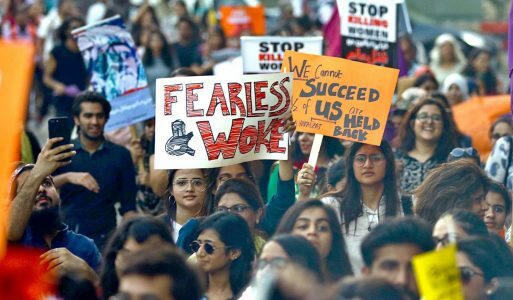 According to the 2016-17 Gender Equality in Public Administration (GEPA) report released by the United Nations Development Program (UNDP) and the United Nations Entity for Gender Equality and the Empowerment of Women (also known as UN Women), Pakistani women’s participation in the workforce has increased by over 50 percent in the last 15 years. However, despite these gains, women’s access to public spaces and their participation in the democratic process remains limited. This is due, in part, to entrenched societal attitudes about gender roles, which limit women’s mobility. Sexual harassment, violence against women and lack of education are some other impeding factors. For these reasons,a woman’s Instagram post about having chai (milk tea) at a roadside stall generated a great deal of reaction on social media and led to the creation of a grassroots collective known as Girls at Dhabas. The word dhaba is a colloquialism used to refer to roadside restaurants which often serve as truck stops. These dhabas are rarely visited by women, and it is almost unheard of for women, unaccompanied by male relatives, to go there. The simple act of having chai at a dhaba is perceived as transgressive – as violating the boundaries of social acceptability. Sadia Khatri, the woman who first posted to Instagram and created the hashtag #girlsatdhabas, also started a Tumblr page that encouraged other women to post pictures of themselves having tea at dhabas or engaging in other simple acts of transgression like riding a bike or just walking alone in public. One recent picture on this Tumblr page is of a reusable menstruation pad insert accompanied by informative text about its use. Another post shows a bike handle and open road and has text describing the poster’s recent experience of sexual harassment while riding a bike alone. It ends with her avowing to continue cycling despite the unpleasantness she experienced. Girls at Dhabas also has a blog page and an Instagram presence. The team has begun organizing community building events where women can meet and swap stories over a cup of tea. The hashtag and Tumblr page have gained attention from liberal media outlets in Pakistan, which have become more adept at covering women’s attempts to vocalize their issues in recent years. Girls at Dhabas has certain limitations, with the largest perhaps being that it is generally accessible only to thosein the middle and higher income segments of society. Large parts of the Pakistani population do not have access to the internet and cannot understand English. Additionally, the events are heldmostly in three big cities: Karachi, Lahore and Islamabad. In these cities, women’s presence in public spaces is already slightly more accepted than in rural areas and smaller towns. Nevertheless, these shortcomings do not undermine the value added by the presence of Girls at Dhabas in the public sphere. 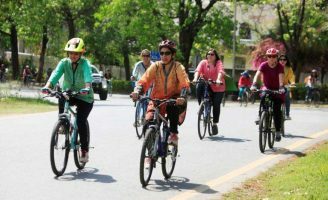 The popularity of this movement and continued interest in it three years after the initial viral hashtag proves that there is a need for, and growing interest in, creating public spaces for women in Pakistan. Over time, the opportunities for Girls at Dhabas and other such collectives to build networks and alliances to support each other’s causes have also increased. Pakistan has a long way to go when it comes to protecting free speech and allowing diverse opinions to be heard. There are many topics that are still considered too taboo for public spaces. Still, social media has played an important role not only in enablingcollectives like Girls at Dhabas to exist and thrive, but also in translating digital conversations into real world change. The act of being able to have tea in an open air space without being harassed or stared at, or being able to ride a bike without being followed may seem small, but in Pakistan’s cultural context, these are hard won victories. With every little step, Girls at Dhabas encourages more and more women to claim their space in public.The continued existence of this collective speaks to a slow but steady change in Pakistan’s society. The most recent example of this was a women’s march that had a huge turnout of women of all ages who held up signs protesting indignities, violence, and discrimination, which have been normalized over time but areincreasingly seen, at least by women, as intolerable. For more details about Girls at Dhabas please visit https://participedia.net/en/cases/girls-dhabas. For more examples of innovative public participation techniques and cases explore www.participedia.net, a collaborative project that aims to catalogue and compare participatory democracy activities around the world. Author: Asna Ali is a Fulbright Scholar at the Maxwell School of Citizenship and Public Affairs-Syracuse University, currently working towards a Master’s in Public Administration. Before coming here, she was working at the central bank of Pakistan and as a freelance contributor for various national newspapers and magazines. Transgressive women are the trail blazers of Pakistan who try to create public space for women; this makes me proud to be a woman. A good report and commentary about a necessary movement. Thank you. Keep writing please. Great article! Good examination of Pakistan’s social climate, with a particular focus on women.